I’m surprised how much I missed doing nail art when I started doing this. 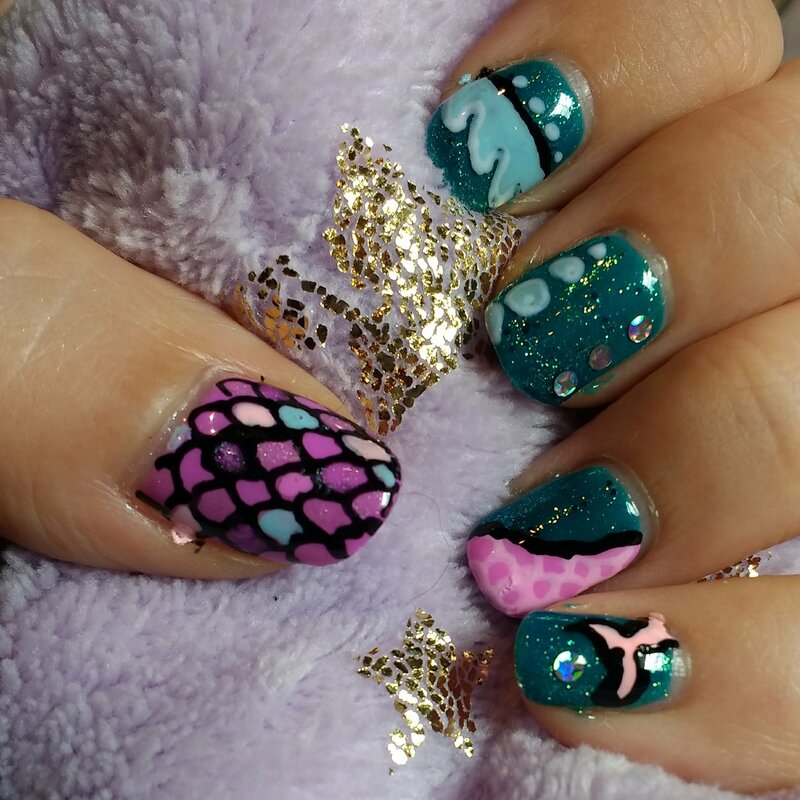 I’ve been watching quite a bit if Mermaid Gossip over on YouTube while I was tidying so decided to go for mermaid nails. It’s very similar to the ones I did last year in this post so I won’t go into detail on how I did it but I love the finished nails. It’s not been the best weather wise but these are so bright and summery and I’m hoping the Red Carpet Manicure gel will help my nails grow. I’m thinking of doing more nail art posts, maybe do them once a week, as it’s really fun to do and it’s quite relaxing. Would you guys be interested in seeing more? I post them all on my Instagram so follow me if you want to see more. Looks great! Yes, I would be interested in seeing more nail posts! Thanks 😄 I’m loving the mermaid colours, I think I need more of them in my wardrobe!